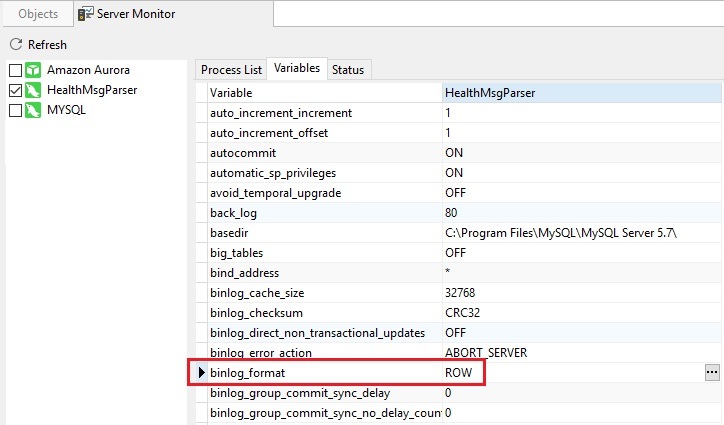 The binary log stores events that describe database changes, for example, table creation operations or changes to table data via statements such as INSERT and UPDATE. Events for statements that potentially could have made changes, such as a DELETE which matched no rows, are also saved for posterity, except where row-based logging is used (see below for more on this). Hence, the binary log does not include statements such as SELECT or SHOW that do not modify data. These would be found in the general query log. For replication, the binary log on a master replication server provides a record of the data changes to be sent to slave servers. In fact, the master server sends the events contained in its binary log to its slaves, so that they execute those same commands in order effectuate identical data changes as on the master. Certain data recovery operations make use of the binary log. After a backup has been restored, the events in the binary log pertaining to the backup are re-executed in order to synchronize databases to the point that the backup took place. Despite these very significant uses, binary logging is disabled by default as it can degrade performance slightly. However, the benefits offered by the binary log in setting up replication and for restoring from a backup generally tend to outweigh this minor performance hit. Statement-based logging logs all SQL statements that make changes to the data or structure of a table. Enable with --binlog-format=STATEMENT. Certain non-deterministic statements may not be safe for replication. If MySQL determines this to be the case, it will issue the warning "Statement may not be safe to log in statement format". In row-based logging, the master writes events to the binary log that indicate how individual table rows are affected. For that reason, it is important that tables always include a primary key to ensure rows can be efficiently identified. You can tell the server to use row-based logging by starting it with --binlog-format=ROW. A third option is mixed logging. With this logging format, statement-based logging is used by default, but the logging mode switches automatically to row-based in certain cases. To use mixed logging, start MySQL with the option --binlog-format=MIXED.